Ahlam Mostaghanemi, this woman is known to the world as the author of the first-born Algerian Arabic-language works translated into English. Mostaghanemi himself was born on 13 April 1953 and is the daughter of a famous revolutionary leaders of Tunisia, Mohammed Cherif. At birth, the father was in prison Mostaghanemi post-detention as a result of the rebellion in 1945. In 1954, civil war in Algeria became an important event in the life Mostaghanemi, and his family, because their houses in Tunisia changed as a meeting point for almost all the freedom fighters who become part of the Algerian People's Party, including the father, Mohammed Cherif and many Mostaghanemi cousin. Post-independence in 1962, and the entire family Mostaghanemi back to Tunisia. These returns an opportunity for Mostaghanemi for formal education in the first Arabic-speaking schools. Entering the end of the 1960s and early 1970s, became the author of Arab descent Mostaghanemi first Algeria. Women writers born in Tunis, Tunisia is broadcast nationally via radio poetry Algeria as well as to help the family's financial situation after the father was no longer able to work because of health problems. In 1973, earned a degree Mostaghanemi for Arabic Literature from the University of Algiers and in that year also, Mostaghanemi published a collection of his poetry for the first time under the title, Ala 'Al Ayam Marfa (The Harbour of Days). At the end of the 1970s, Mostaghanemi moved to France. In 1982, Mostaghanemi managed to obtain a Ph.D. in Sociology from the Sorbonne in Paris with a thesis entitled L'harmattan as Algerie, Femmes er l'Ecriture. Mostaghanemi nationals married to a Lebanese journalist and moved to her husband's homeland in Beirut. In this city Mostaghanemi published his first novel, entitled Memory in the Flesh (Zakirat al Jassad) in 1993. The debut novel Mostaghanemi fairly successful and sold over one million copies in Arabic speaking countries. This success drove Mostaghanemi as a woman writer who talked about and respected in the world of Arabic literature. No wonder intermittent five years after its first publication, the novel acquire one of the most prestigious awards the field of Arabic literature, Naguib Mahfouz Medal for Literature. Two years later (2000), the same novel became the first Arabic-language works translated into English by Publisher University of America in Cairo. Several years later, two other pieces of the trilogy following Mostaghanemi also translated into English, each of the Chaos of the Senses and Passer-by a Bed. Works Mostaghanemi is a picture of post-colonization of Algeria struggle. Thanks to defend his country nationalism through literature, Mostaghanemi much awarded as Nour Foundation Award for Creative Women (1996), Naguib Mahfouz Medal for Literature for the Memory of the Flesh (1998), The Amman Loyalty Medal for Creativity (1999), The George Tarabeh Prize for Culture and Creativity (1999) and The Pioneers of Lebanon Committee Medal (2004). In 2006, Mostaghanemi increasingly established himself as one of the most respected figures of women writers in the Arab region. 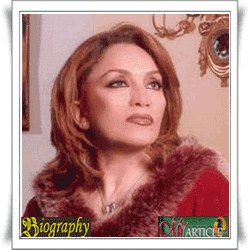 Mostaghanemi received three prestigious awards at once in the same year, the Medal of Appreciation and Gratitude Abdelhamid Ben Badis of Sheikh Foundation, the Medal of Honor from President Algeria laangsung own, Abdelaziz Bouteflika, and imaging Mostaghanemi as The Most Famous Woman in Arabic World. Only a year later, Mostaghanemi back the other two awards, The Algerian Cultural Personality and The Shield of Al Jimar. And in 2009, was awarded a star Mostaghanemi The Shield of Beirut above all dedication and hard work to defend the homeland through literature. In addition, the novel was also adopted by the curriculum in universities and the subject of research for a thesis or paper. He also worked as a visiting professor at many universities around the world. As The American University of Beirut, 1995 - University of Maryland, 1999 - University of Sorbonne, 2002 - Montpellier University, 2002 - University of Lyon, 2003 - Yale University, 2005 - MIT Boston, 2005 - University of Michigan, 2005.